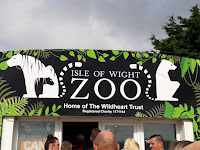 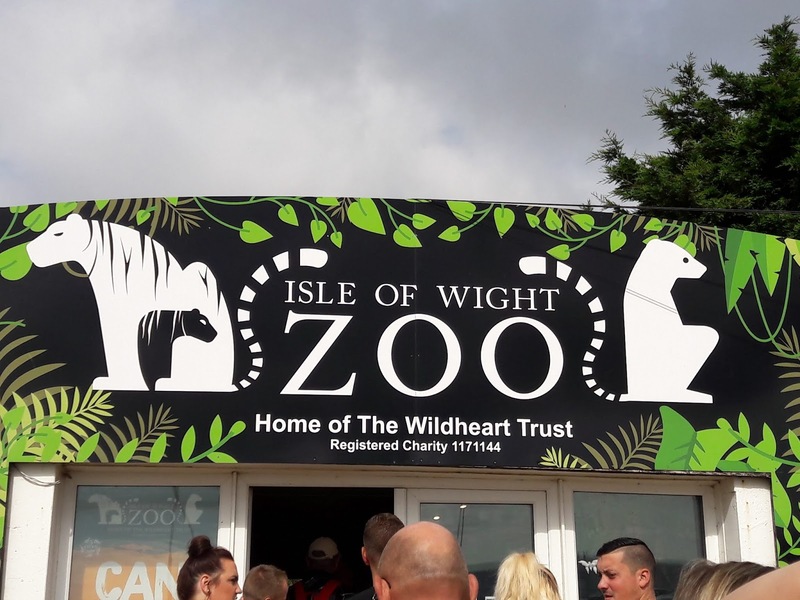 My recent holiday on the Isle of Wight turned out to be other than I was expecting. 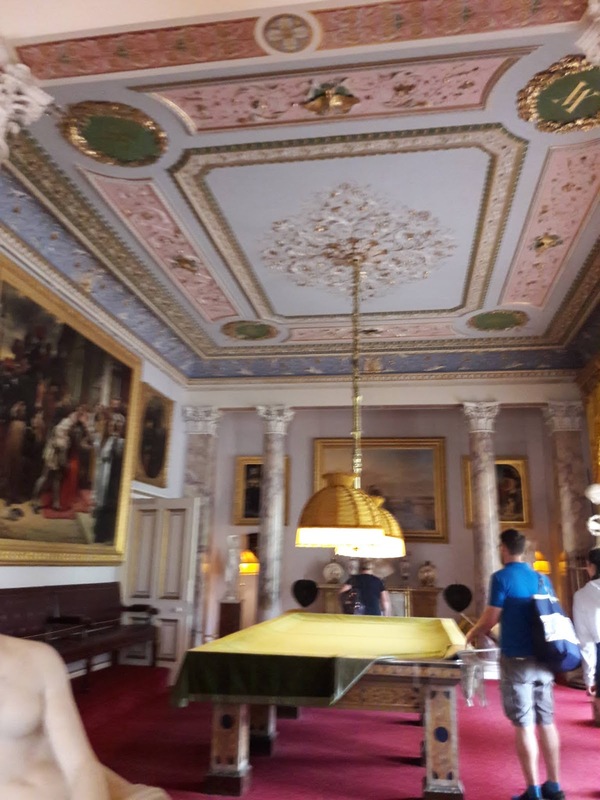 Instead of the rather relaxed break we had intended combined with the occasional cultural excursion, it turned out to be crammed full of history. 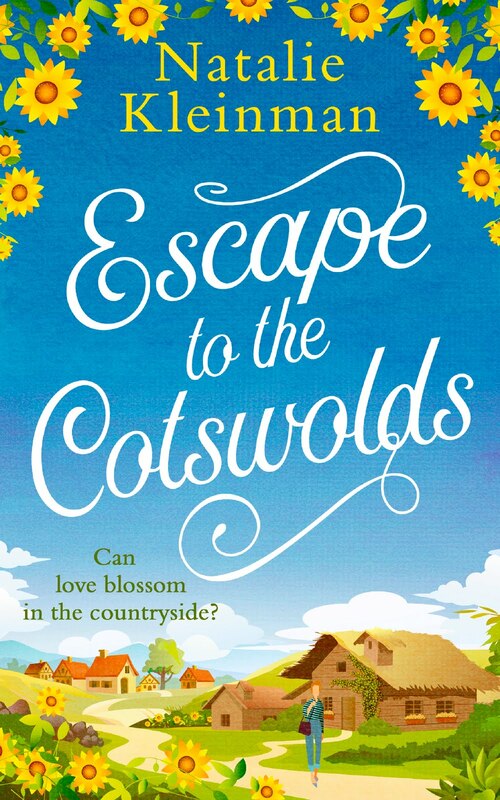 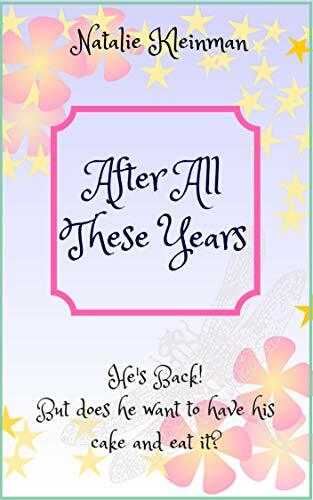 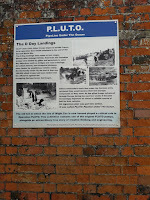 …we were taken back to the Second World War. 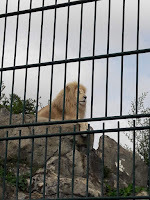 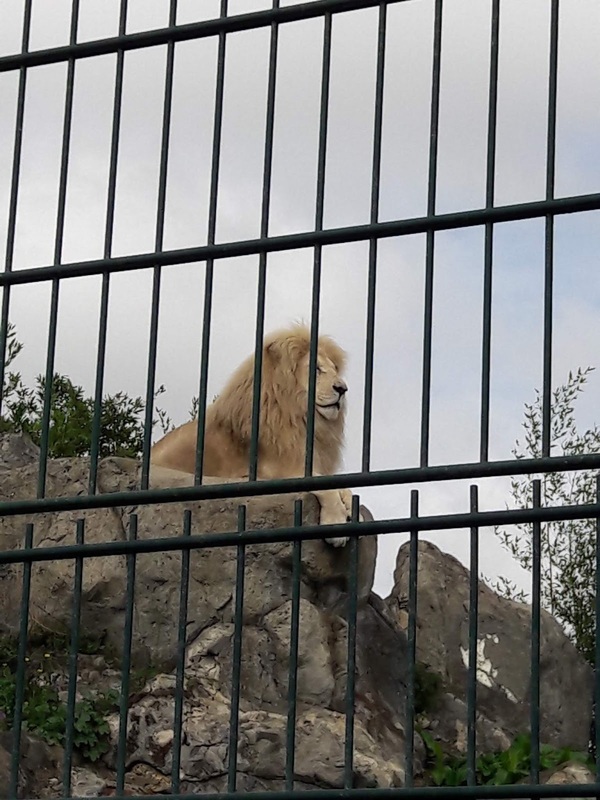 I learned from a friend only the day before that the zoo is housed on the site of an old fort, remnants of which remain. 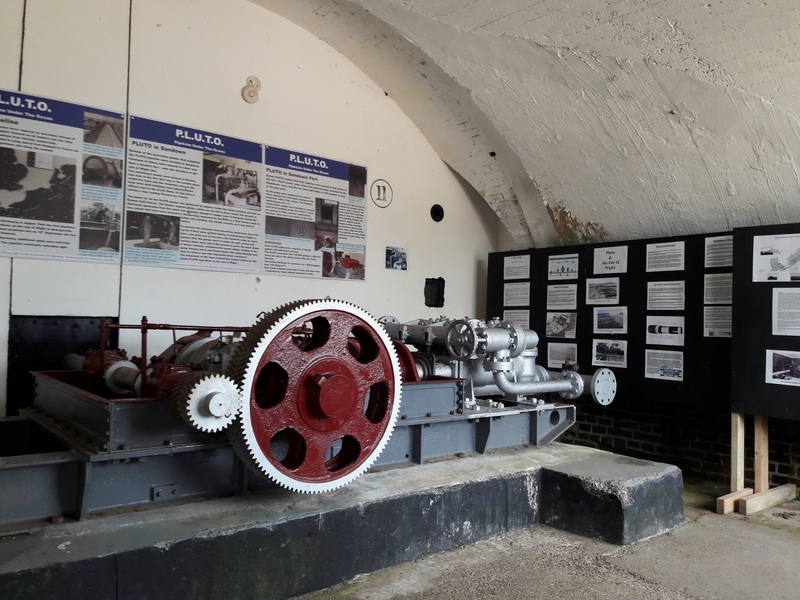 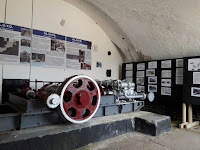 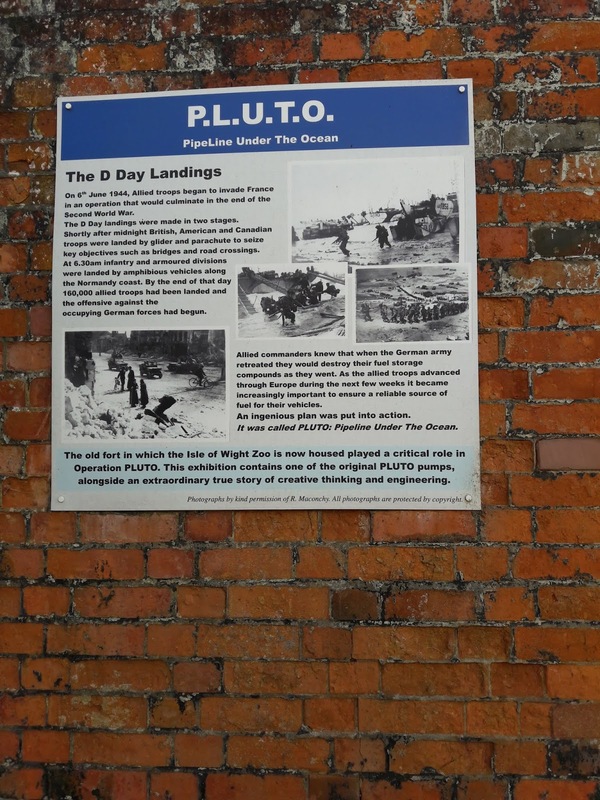 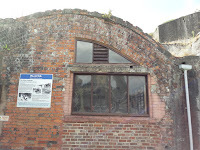 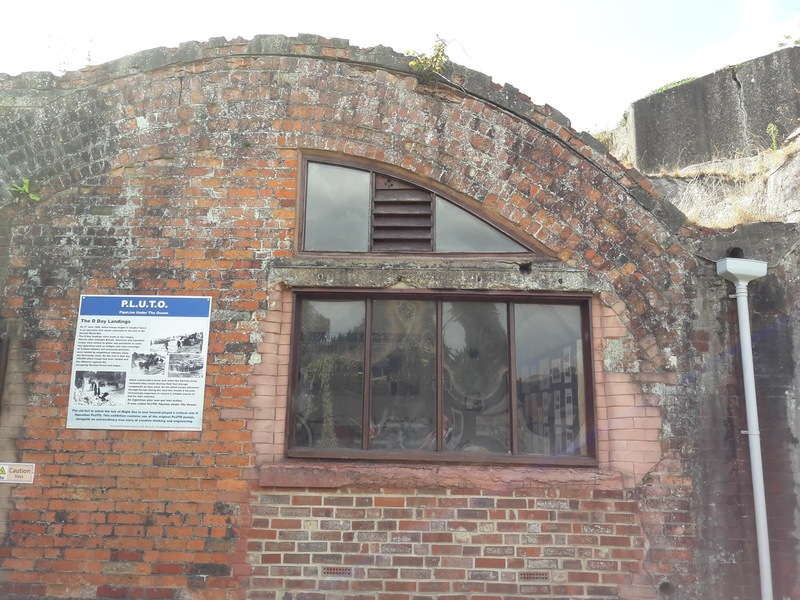 The fort played a critical role in Operation PLUTO and within it is a small exhibition which contains one of the original pumps and some fascinating details of the PipeLineUnderTheOcean. 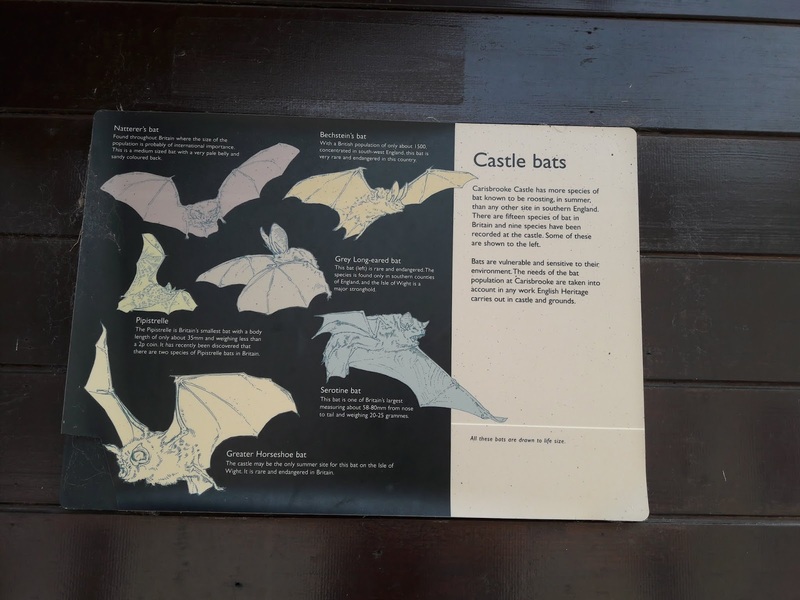 In addition to the natural history we were anticipating, we had an unexpected history lesson and another reminder of how much we owe to those who went before us. 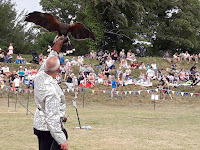 A fabulous day. 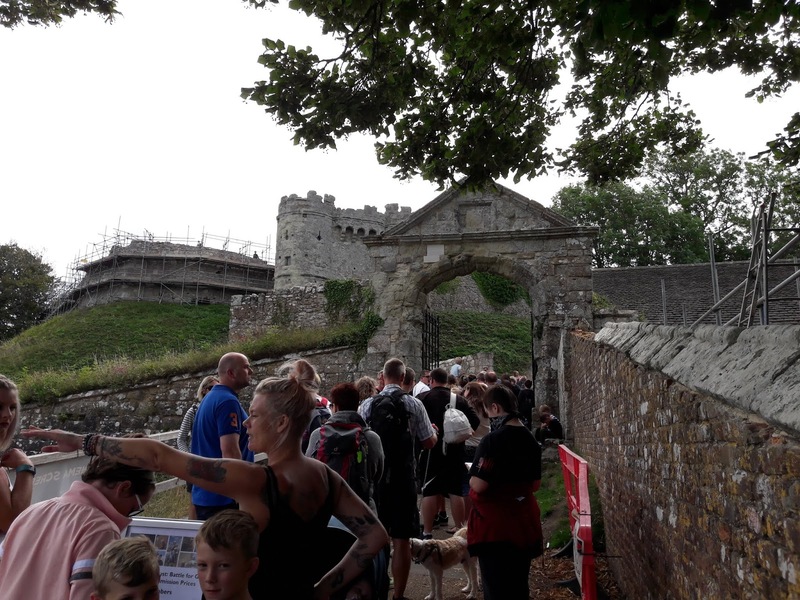 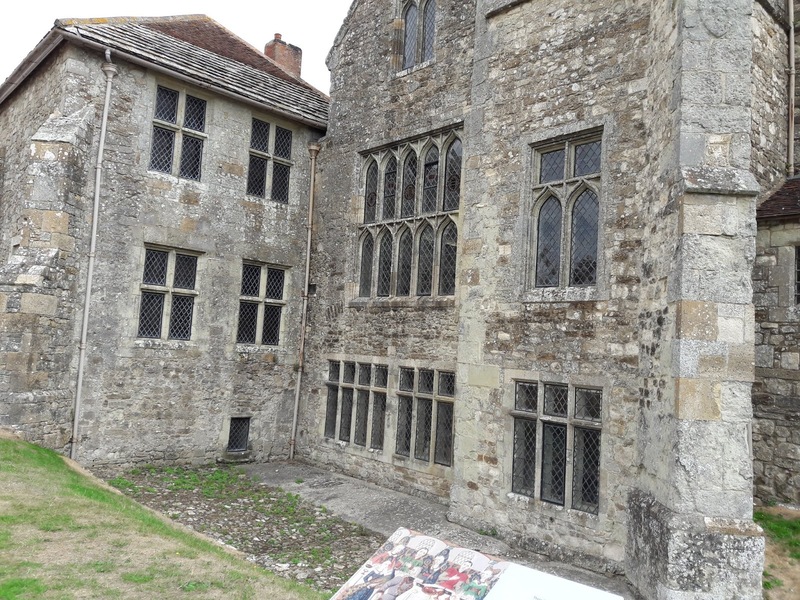 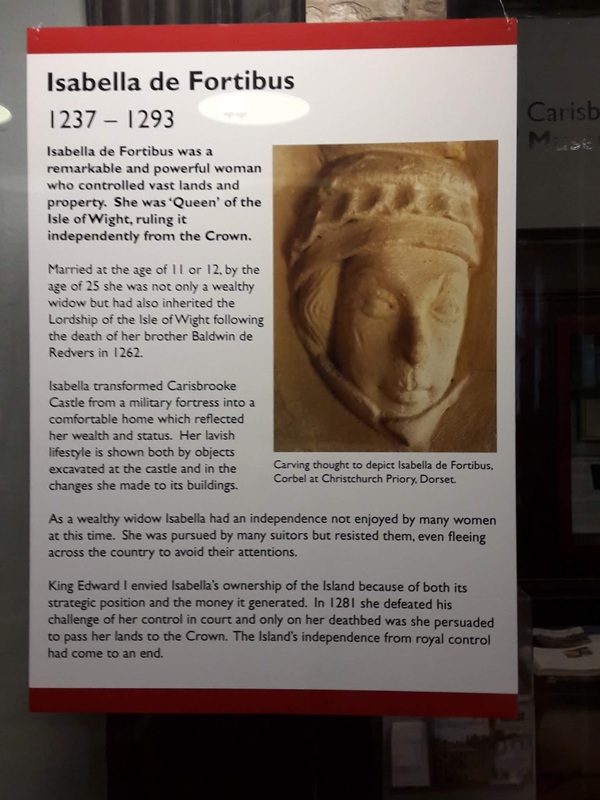 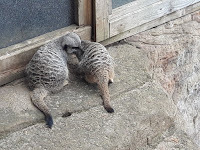 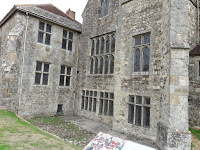 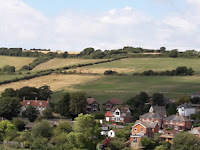 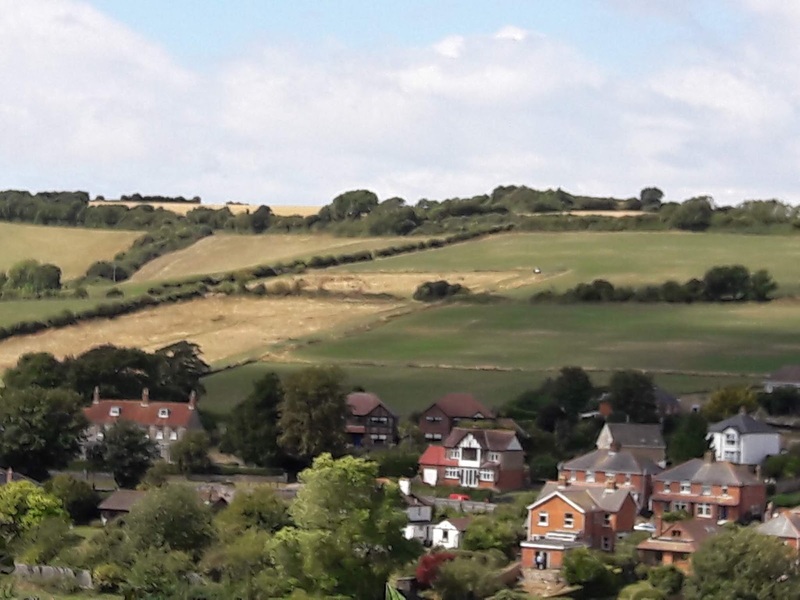 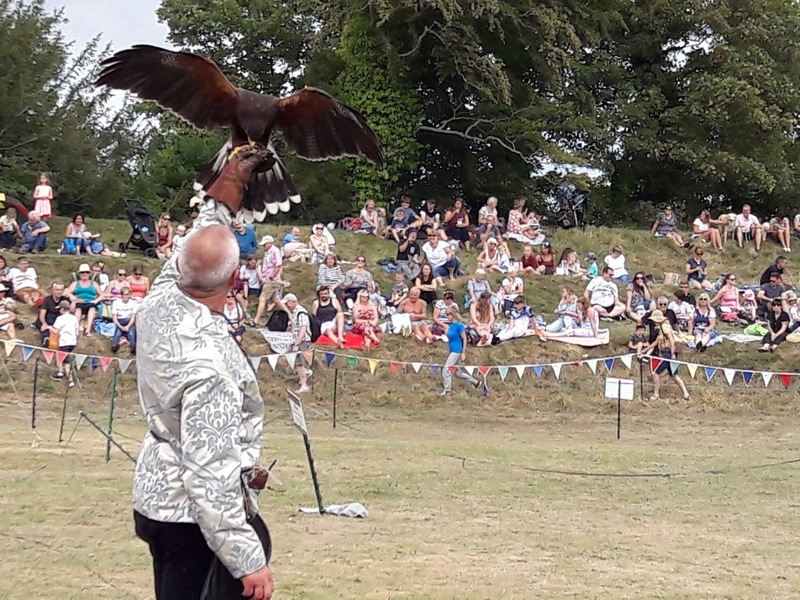 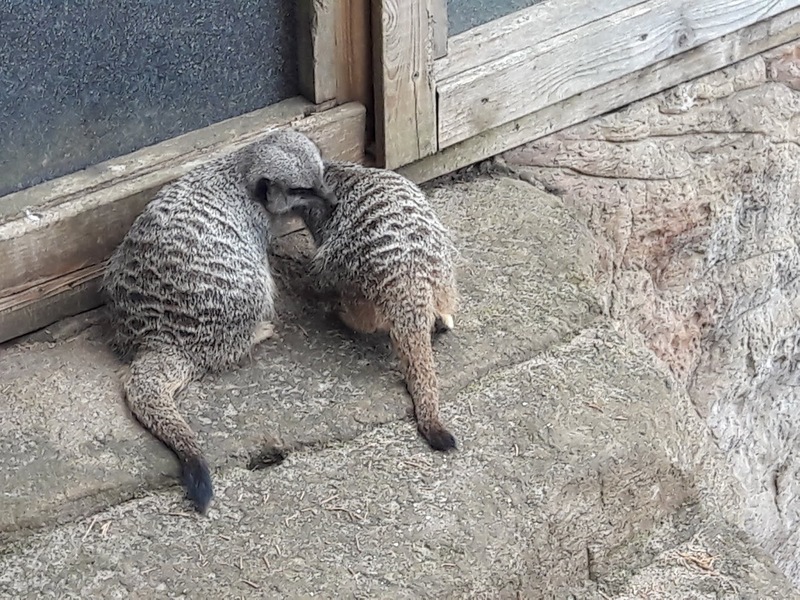 A new day, a new outing, this time to Carisbrooke Castle and the thirteenth century when Isabella de Fortibus reigned supreme on the Isle of Wight, ruling it independently from the Crown. 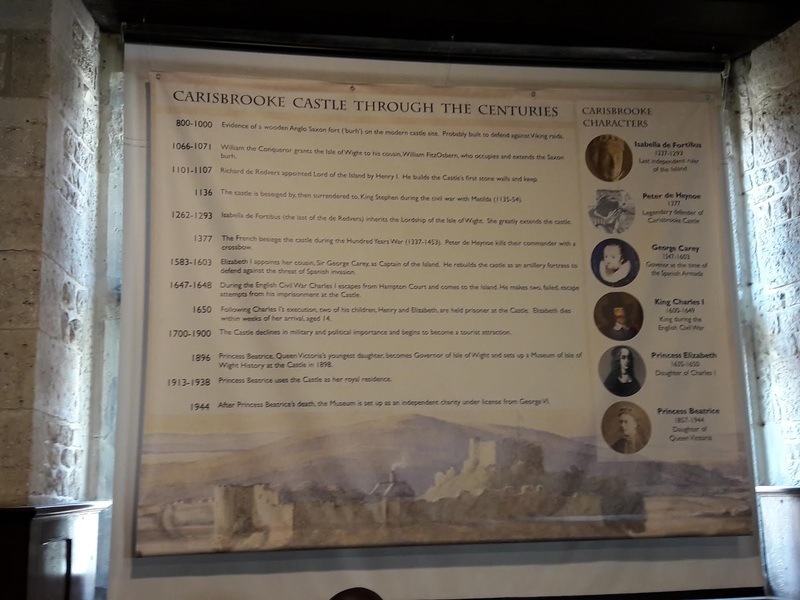 Over the years it has been a romantic castle, an Elizabethan artillery fortress, a king’s prison (Charles I – held for fourteen months before his execution) and a royal summer residence. 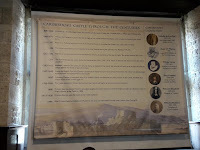 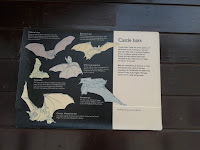 I visited the small but fascinatingly comprehensive museum housed within the castle walls. 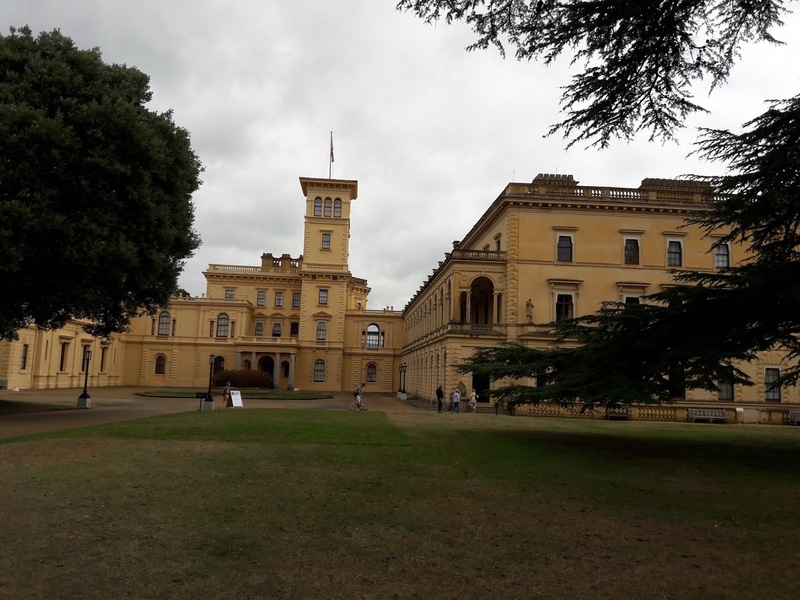 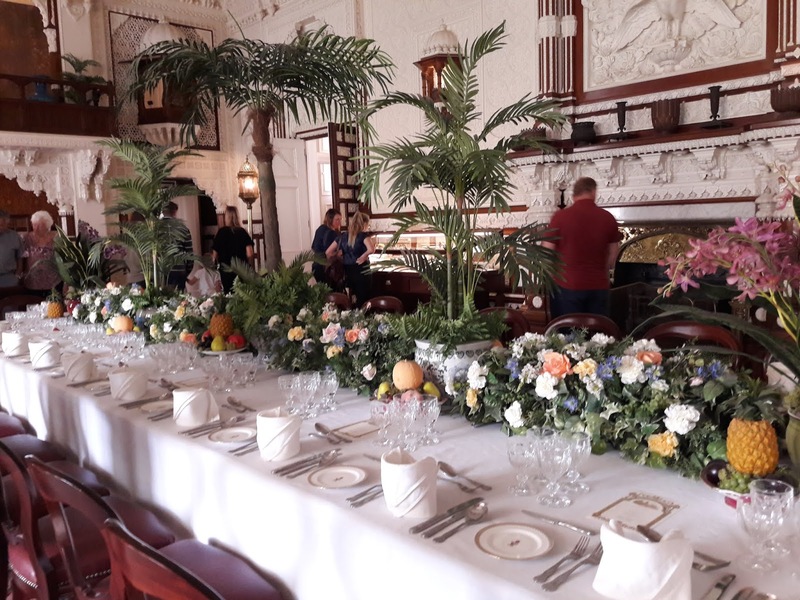 Our final major visit was to Osborne House, described by Queen Victoria in 1845 as ‘Our dear Osborne, which is like a little Paradise for us’. 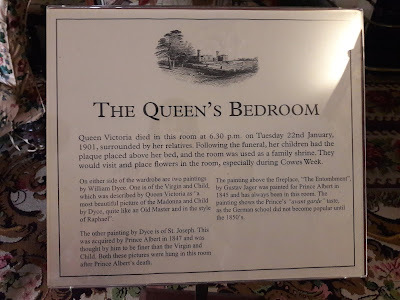 It had been a long-held ambition of mine to see this royal residence, so renowned for being the queen’s favourite home, and boy was it worth the wait. 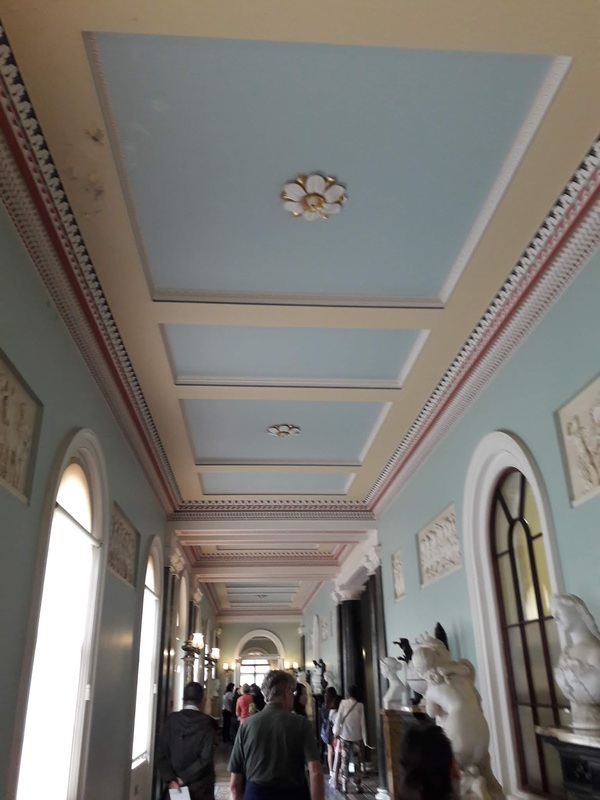 There is far too much history for me to be able to share with you here so I have attached some images to give you a taste of its splendour. 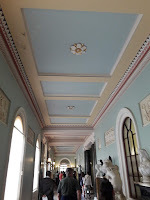 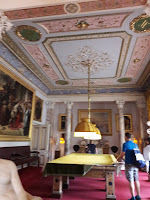 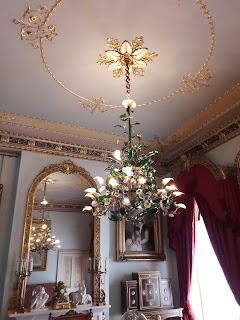 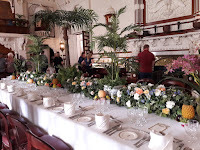 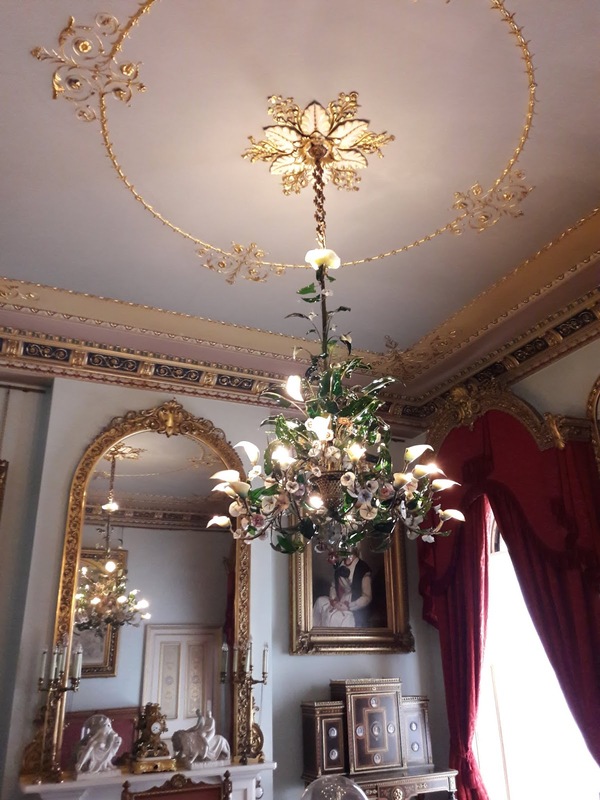 With my housewifely hat on I wondered at the task of cleaning the amazing coloured glass and ormolu chandelier depicting convolvulus, Prince Albert’s favourite flower, and arum lilies. 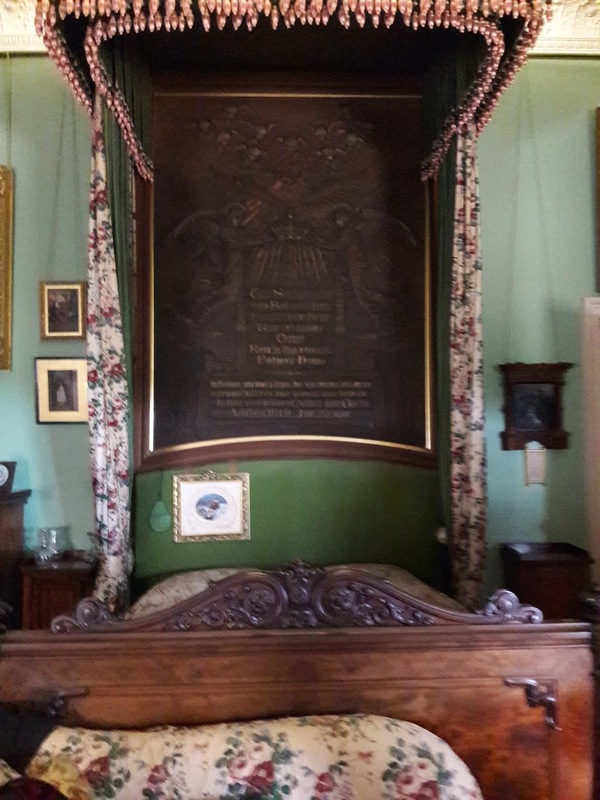 I had an amazing sense of history when I entered Queen Victoria’s bedroom. 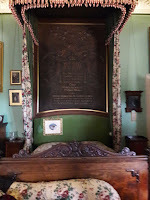 It was in this room on 22nd January 1901 that she died, on a small couch bed, surrounded by her children. 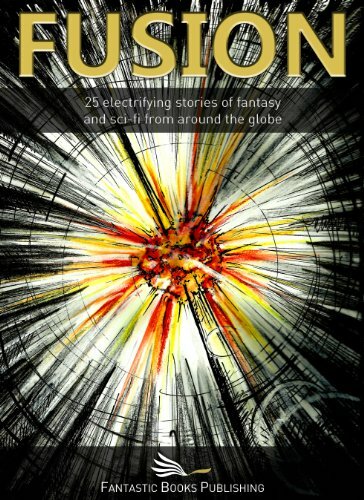 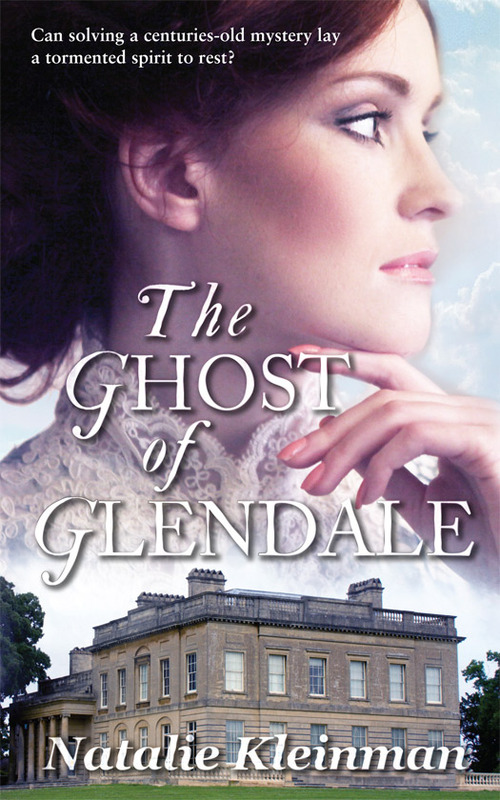 More than a hundred years later and it felt as though I could reach out and touch the past.